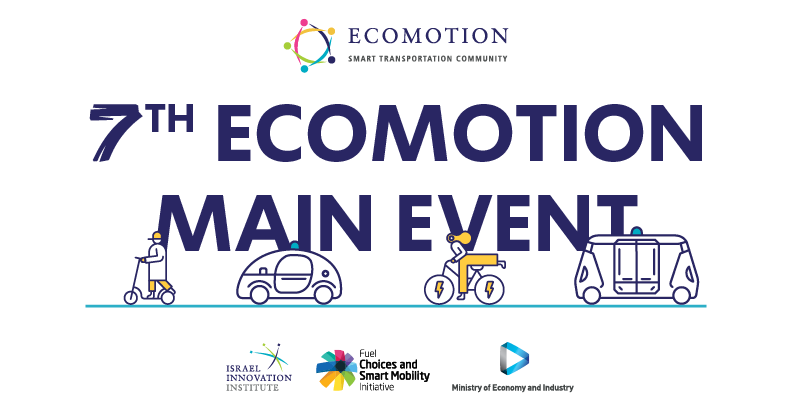 IMPACT Connected Car is happy to announce its Media Partnership for the 7th EcoMotion Main Event in the EcoMotion Week, celebrated on June 10-13th, 2019, in Tel Aviv, Israel. Smart Mobility startups, you can now apply for your chance to win a subsidized booth at the 7th EcoMotion Main Event in the EcoMotion Week 2019. The most exciting event of innovation in Mobility to meet all global industry leaders, investors, policy makers and more! Do not miss your chance to help bring mobility towards the Tipping Point! For the past seven years, EcoMotion’s Main Event has brought together the world’s leading companies in the Smart Transportation sector. The Main Event has become a global event for innovation in transportation, where high-level business is conducted in a grounded atmosphere, and where industry leaders, C-level executives, startups, and policy makers meet to explore new synergies. EcoMotion is anticipating 4,000 participants, 130 startups exhibitions (including 10 internationals! ), leading industry players, 2 main stages, a workshop hall, a B2B hall, a demo field, and many more interactive opportunities.